This kit includes everything you need to create a ¾" scale model of a one-bedroom A-Frame Cabin with a bathroom, kitchen, living room, spiral staircase, and loft. 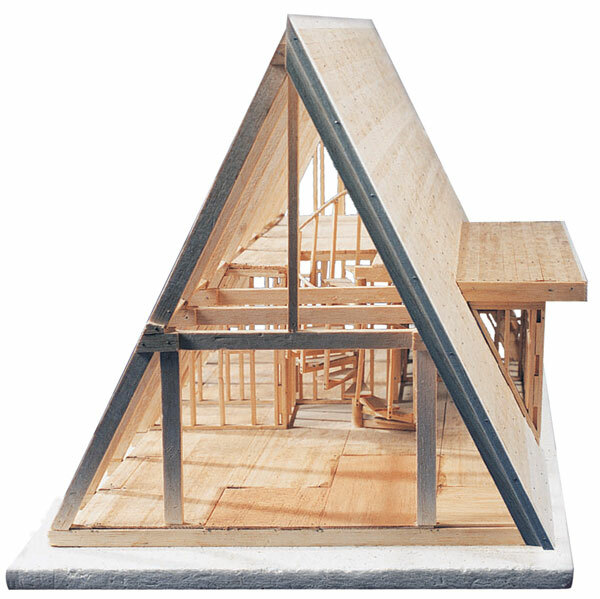 Those who build this kit will learn unconventional framing in accordance with accepted building codes. The foot pad measures 1½" × 2 ft (4 cm × 61 cm). One kit is included per pack.